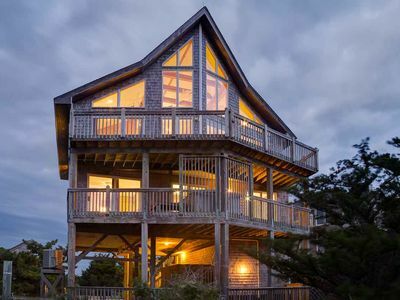 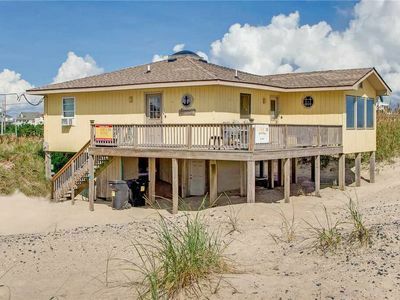 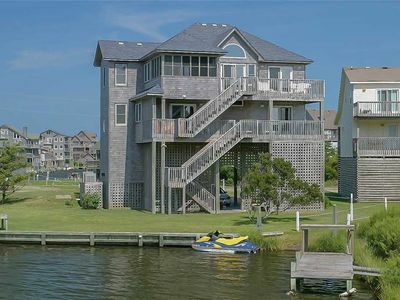 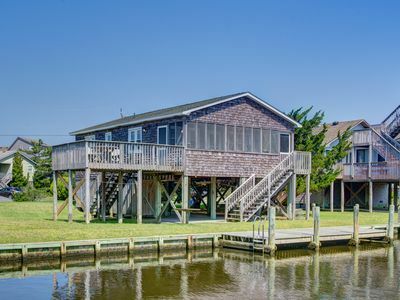 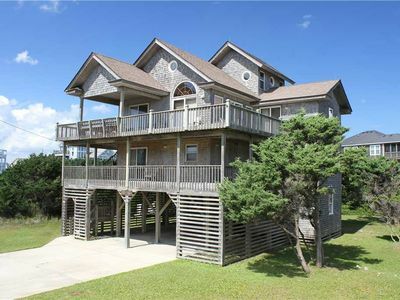 OCEANVIEW Rodanthe - Atlantic Dr. You have a place to stay at the beach at BRENDAN'S COTTAGE! 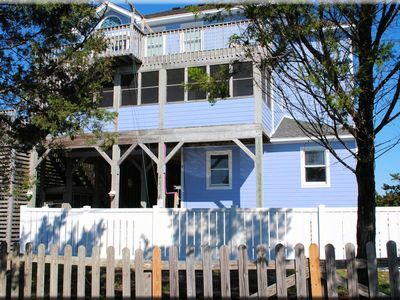 This charming cottage is attractively decorated and well-suited for 1 or 2 small families. 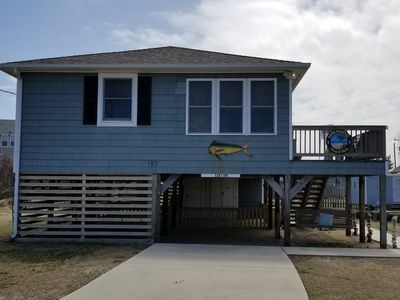 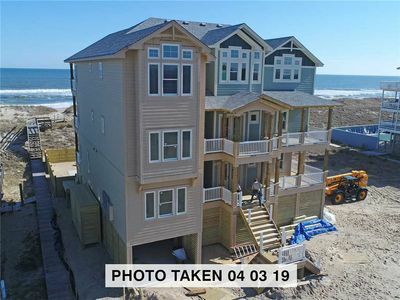 The beach and Rodanthe Fishing Pier are just a quick stroll up the street for easy access to both. 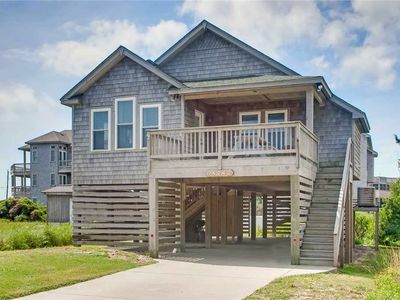 Sunrise over the ocean and pier are picturesque from the partially covered deck of the home, which also supplies a picnic table for dining outside. 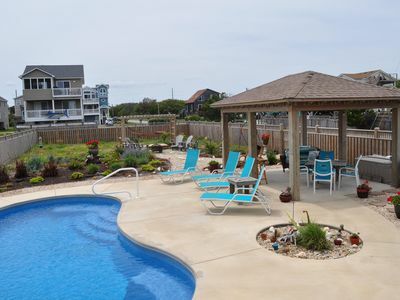 A concrete carport with outdoor shower and fishing cleaning table offer conveniences after your day on the beach or pier. 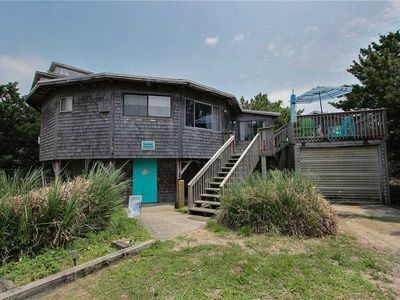 Inside the home, find 3 comfortable bedrooms, 2 of which (1 with pyramid bunk for the kids, 1 with a queen bed) share a full bath with tub/shower. 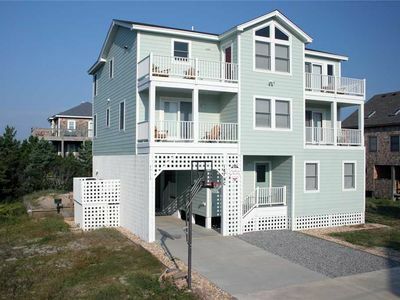 The third bedroom is a master suite with queen bed, flat screen TV and private bathroom. 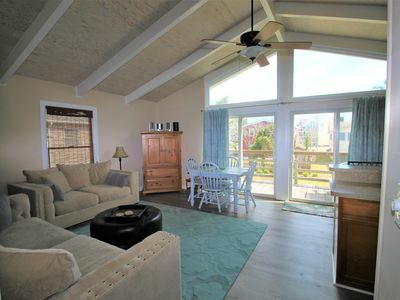 The great room is engaging with ocean view, vaulted ceiling, inviting furnishings, large screen TV and BluRay player. 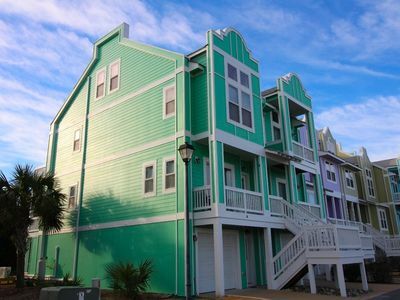 The well-appointed kitchen provides modern appliances and everything you need to prepare tasty meals. 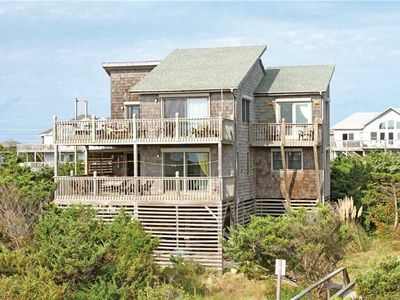 Enjoy mealtime at the dining table or breakfast bar before heading out for an evening walk on the beach. 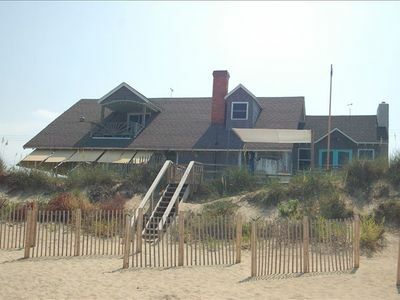 Make plans to stay at BRENDAN'S COTTAGE this year. 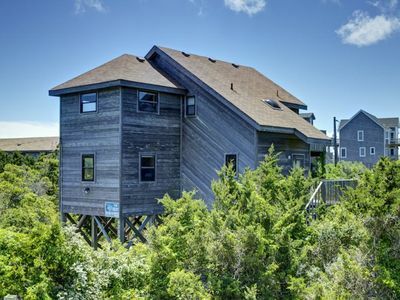 U FOUND DORY is on the Outer Banks & is AWESOME! 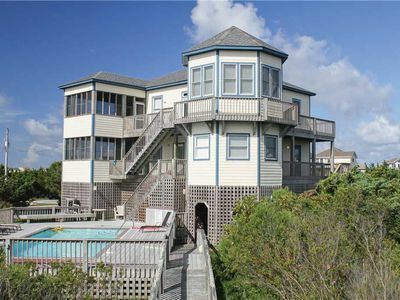 Ocean View, Private Saltwater Pool, Direct beach access, sleeps 12, new! 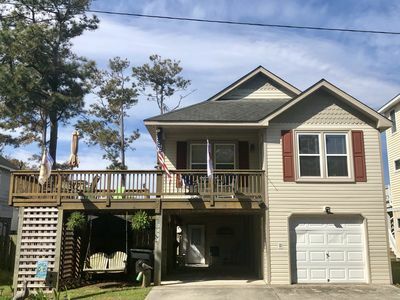 Comfy Three Bedroom , Two Baths, Less than 1K/week in summertime! 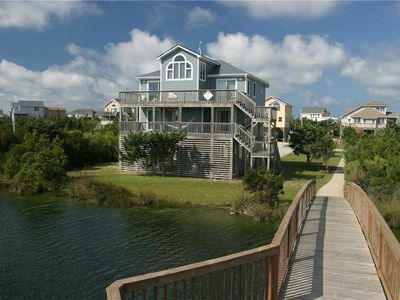 Walk to Beach! 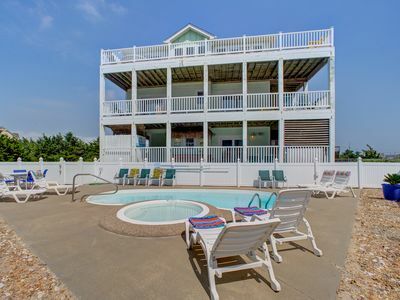 Centrally located, Completely Remolded by NEW owners!